Tobi is a fun, versatile and expandable storage solution. Create entire wall units, use as an end table or for media storage. 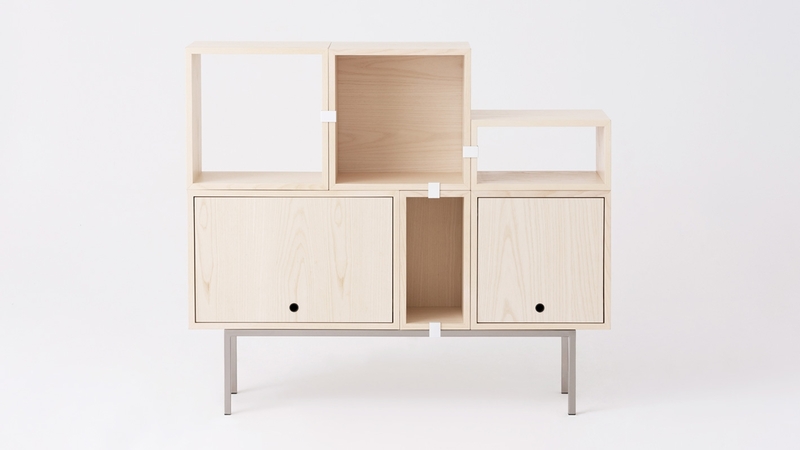 Easy to re-arrange, Tobi ModBox is a system of open and closed storage opportunities. Each box is available with either a back panel or a door and back panel. Wipe clean with a soft, damp cloth. Do not use harsh abrasives or household cleaners as they may damage the finish. Variations in pattern and coloration are a natural characteristic of oak, no two pieces will be identical. Due to the nature of solid oak, changes in temperature and humidity may cause cracks to appear. This will not compromise the structural integrity of the product.